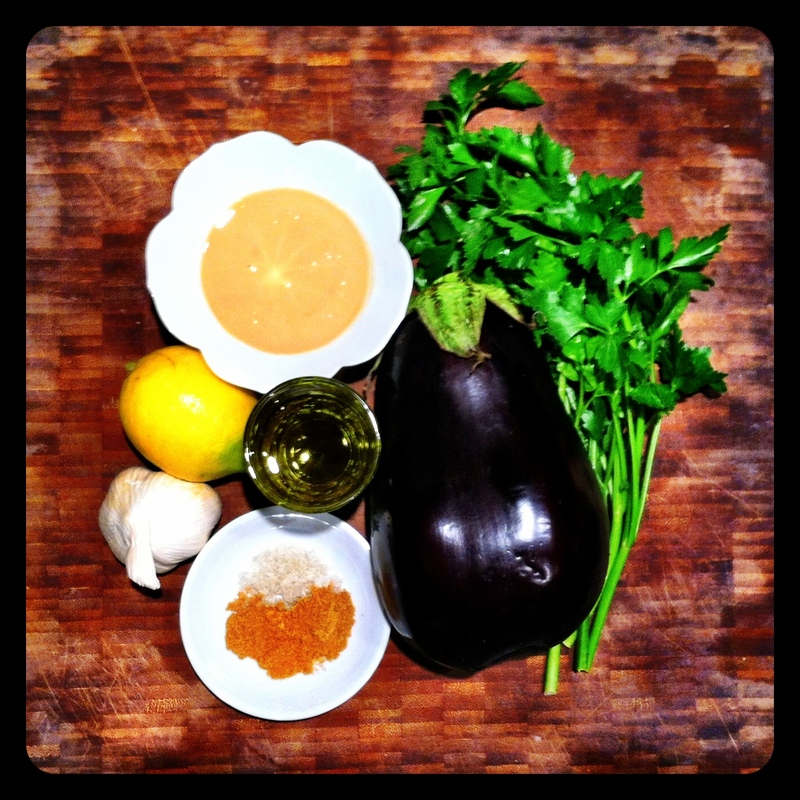 Baba Ganoush is essentially hummus made with roasted eggplant instead of garbanzo beans. 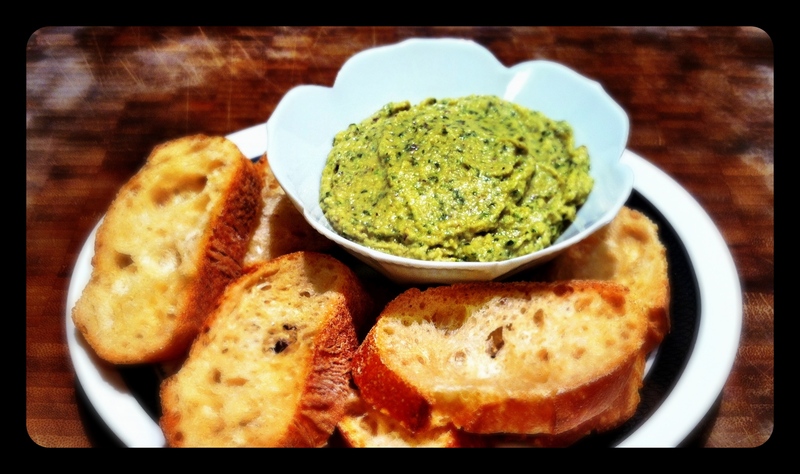 But the flavor is distinct and the two dishes pair well together, with the same types of veggies and bread for dipping. You can roast the eggplant and garlic in the oven, but if you’re firing up the grill for other things (try brussel sprouts or sweet potatoes! ), take advantage of that flame for a better flavor that’s also energy efficient. Preheat grill to approximately 350° or medium heat. Double wrap garlic bulbs in tin foil with a sprinkle of olive oil and place on grill. Wash eggplant and remove leaves but not the stem, then pierce several times with a knife. Place on grill, turning every 5 to 10 minute to char all sides. Leave on grill approximately 20 to 30 minutes or until skin is fully charred and meat is soft. Remove garlic and eggplant from grill and allow both to cool enough to handle. Peel off skin and remove stem from eggplant. Cut off top of garlic blubs and squeeze out roasted garlic cloves – should be mushy. Place all ingredients in a food processor until smooth. Refrigerate for at least an hour. Will keep in refrigerator for several days. Garnish with additional olive oil when serving if you like.